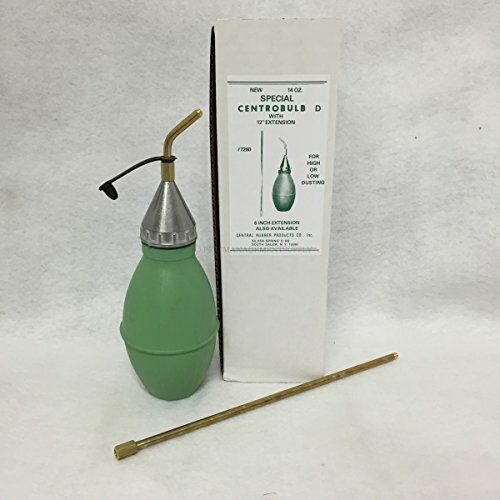 Centrobulb Duster is an easy-to-use dusting tool (pesticide powder duster) with a 12" extension tip that enables even dust spreading in hard-to-reach areas such as cracks and crevices. The Centro Bulb Duster is made of thick pliable rubber that holds between 4 to 14 oz. of dust. The Centro Bulb duster is manufactured for years of repeated use by pest management professionals. If you have any questions about this product by Centro, contact us by completing and submitting the form below. If you are looking for a specif part number, please include it with your message.